My Fit&Flexi 3 Week Online Challenge is designed to supplement your current training program with Dynamic core strength workouts. Short guided online video-based sequences that work around your schedule. Built as a progressive series of six videos, you’ll get two, 15-minute workouts each week, starting Monday, April 29. Once you’ve completed your workout, log it on Strava to be in with a chance of winning weekly prizes from Lululemon and Black Sheep Cycling. Yoga. Designed for cyclists and endurance athletes with a focus on performance benefits and personal wellbeing. Inspiring athletes to realise the benefits of yoga. To be successful at cycling and endurance sports, you require not only physical strength but also intense focus and concentration. Yogeur, by Nicole Moerig, a former professional cyclist, is yoga designed for athletes with a focus on performance benefits, personal wellbeing and longevity. We provide personal & group yoga classes and workshops to recreational, age group and professional endurance athletes and teams. Our teaching is centred around integrating a mindful approach to life, career, training and racing, based off Vinyasa flow yoga and a restorative practice. Our philosophy is centred on strength, focus, flexibility and mindfulness. Enlighting athletes on the benefits of slowing down. But also educating them about their bodies and the imbalances that can occur physically from endurance sports. How to identify these imbalances and how to isolate and correct them with yoga. Regardless of ability, we provide a range of progressions for each movement so that no matter your level of experience or flexibility, you can enjoy the advantages of adding yoga to your training. Yogeur provides strength, stability and core development, focusing on isolation and activation of vital muscle groups. Yogeur helps athletes to bring more balance to their body, improve performance and assists with injury prevention. Yogeur employs strategies to help with concentration, enabling athletes to maintain mental clarity and calmness. Yogeur ensures your brain is as well looked after as your body. Slowing down provides a mental refresher. We believe in looking after the body and the brain. It is now commonplace for athletes to integrate other physical activity, even when healthy, to benefit from a holistic approach to physical performance and mental wellbeing. Cross training helps bring more balance to the body and enhance athlete performance. The functional movement of yoga can be used to complement your training, help your body correct imbalances, enhance flexibility and prevent injury. Yoga also gives athletes the mental tools to deal with the pressures of competition, emotional highs and lows and the demands of modern lifestyle. Taking a moment to slow down allows us to enrich our lives and prevent wear and tear on the body’s immune, cardiovascular and skeletal systems. 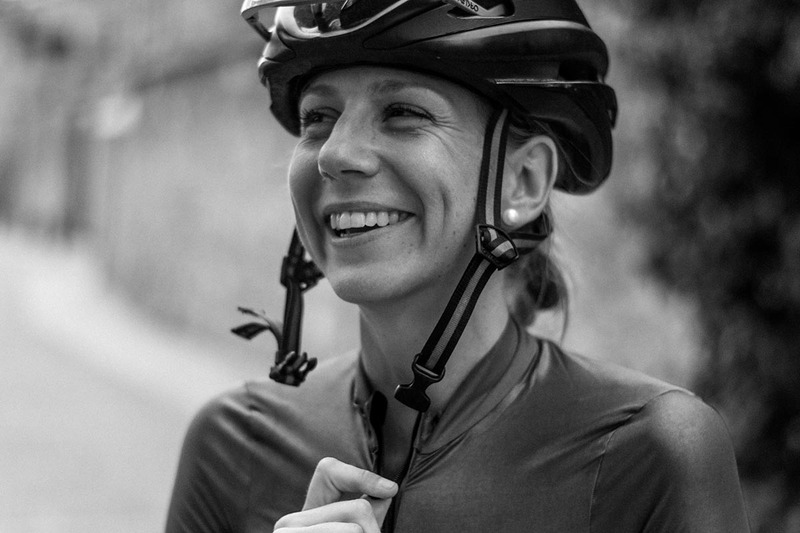 Nicole Moerig raced as a professional cyclist both in Australia and in Europe. She remains one of the most compassionate, caring and kind bike riders in the community and is often still seen lending a comforting hand to a newcomer. She initially used yoga to supplement her off-season training and saw the benefits both in body and mind. Now, she teaches what she practices – believing wholeheartedly in the positive effect yoga can have on both a performance and personal level. Her experience as a physical education teacher, professional athlete and her genuine caring nature make Nicole a unique and warm instructor. She is Yoga Alliance RYT200 Certified and is a Bachelor of Science (Human Movement), majoring in Performance Enhancement. Nicole Moerig resides between Australia and Europe. Check here regularly for current classes, locations and times. Classes are one-hour in length and strictly limited to 10. They are held at 2 Heritage Court, Suffolk Park NSW 2481. Mats, bolsters & blocks provided. $15 per class. Please arrive 10mins before class begins. Focused on functional movement and your personal needs as an athlete. We offer group classes and one-on-one experiences, centering on improving strength, flexibility, focus and mindfulness. We aim to create tailored experiences to help businesses improve the health, wellbeing, professionalism and productivity of its staff. Yogeur offers day and multi-day retreats as well as ongoing packages which can be delivered on or offsite. Yogeur creates day, multi-day or week-long workshops to help athletes, teams and sporting clubs incorporate a holistic approach to life, career, training and racing.